- Transcend boundaries with multiple currencies. - Practice polyglotism in billing with multiple languages. - Transact worldwide with multiple payment gateways. Hajwane's Healthcare provides full medically escorted & para medically escorted repatriations any where in the world at very competitive costs. We offer experienced medical & para medical escorts for repatriations of sick crew from to any part of the world. For its international clients, Sure minimizes design and procurement costs. It works with them to deliver best in class products anywhere in the world. Its network of installers in MENA and US, helps lower overall installed cost/Wp. We at Global synergy have dedicated ourselves to providing the best customer services to supply top quality products used for shipyard. We help you in providing complete line of high quality shipyard supplies . The global marketplace provides more opportunities for eCommerce retailers than ever before. 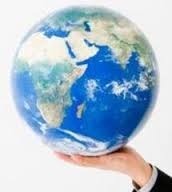 Smpl is the right choice if you plan to grow your business within the international marketplace. 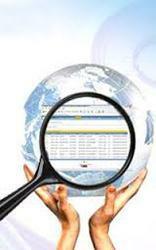 We assist you with accessing bottom-rate international shipping costs. We have sales units in more than 25 countries and partners in 60 countries enabling close co-operation with customers through all phases of sales, solution design, project management and commissioning. Similarly, when it comes to receiving systems and components, these are supplied from distribution centers in the shortest delivery time the industry can offer. We've established SKF Solution Factory locations all over the world to provide local access to our global SKF knowledge. If you like to know more about an SKF Solution Factory in your area, please contact your local representative or SKF office by using the Contact us button on the right side of this page.